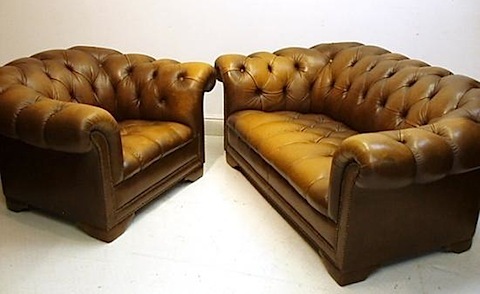 My wife has been begging (bitching) me to get a new couch and chair for one of our living rooms (we have 2), she wanted a style couch called “Chesterfield” .. basically looks like a gentlemen’s club couch. But every time I went to look at one on the shops, they all looked .. well .. like crap really, the leather looked like plastic, and the “aged” effect was painted on, really looked fake. So yesterday we finally found the style she was looking, but with the good leather and proper age effect I wanted .. just a problem, it was 20 years old !!! She actually is telling me this was cheap … but somehow paying that kind of money for an old couch .. just feels weird.